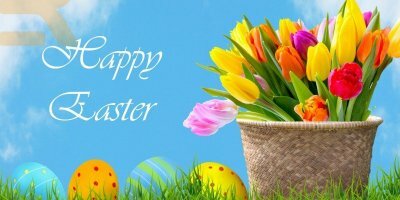 In reverence for the Season, the Shop will be closed Friday, April 19 & Saturday, April 20. We will reopen Monday, April 22 at 10am. Celebrate with Northcott and us! 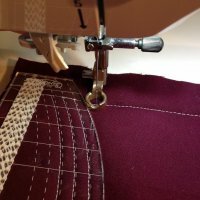 and enter the Quilt Panel Challenge! Choose our Solstice Block in one of 2 colorways! Our block finishes at 12". Purchase our block kit here! 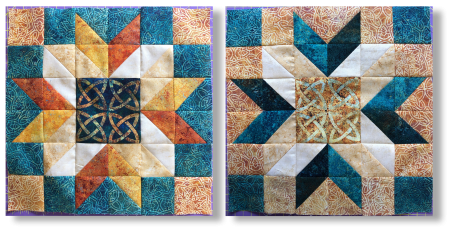 Collect 12 Stonehenge Solstice blocks and create your own quilt design! Your quilt must use 100% Stonehenge Solstice fabrics on the top and binding. 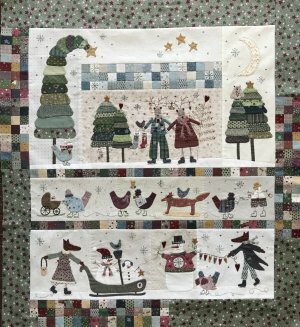 Email a picture of your finished quilt to Northcott by December 31st. Want to know more? Here are the official rules. Want to find more blocks? Here's the Interactive Block Party Map. 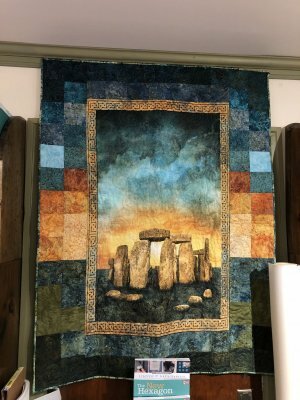 Purchase the Stonehenge Solstice panel, design a quilt no larger than 60" x 60". Get the panel here. The quilt fabrics on the top and binding must be 100% Stonehenge fabrics. Bring in your finished quilt by November 30th to Village Quilts and be entered to win a Northcott prize package! 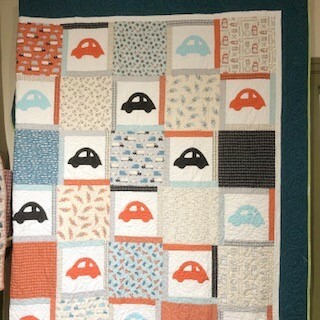 The winning quilt from our store will be photographed and entered into final judging from Northcott fabrics. Block of the Month, Winter Playground! Click here for details, or call the shop to register! Meet Phoebee! 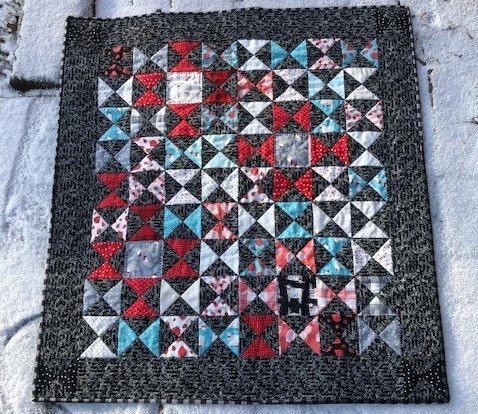 This is a great little (36x36) wall hanging and a fun weekend project. 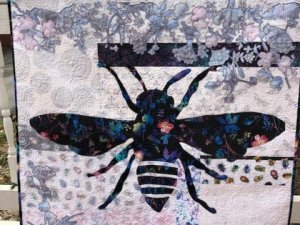 Simple pieced background, fused applique and machine quilting. Class is March 28 and 30. A bright little something to remind us that Spring is just around the corner. 17 bright fat quarters and 3 1/2 yards of background. 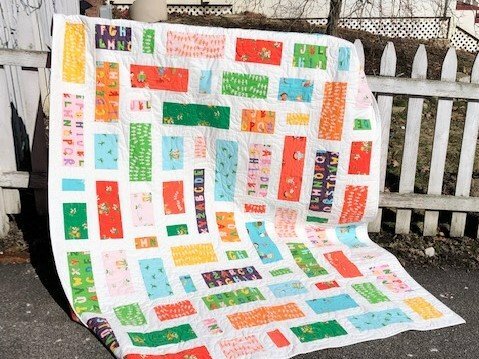 More Egg Timer than Hourglass, this little quilt uses a charm pack of Farm Fresh and a 1-1/4 yards of Homegrown. The pattern is free with the purchase of the kit. 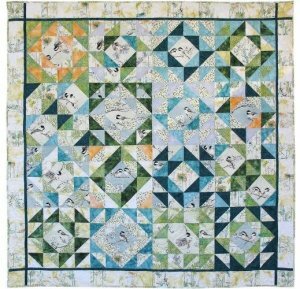 This gorgeous throw sized quilt is stitched with Hoffman fabrics, featuring birds and nature scapes accented with metallic silver highlights! Kit is ready to go... click here for details! 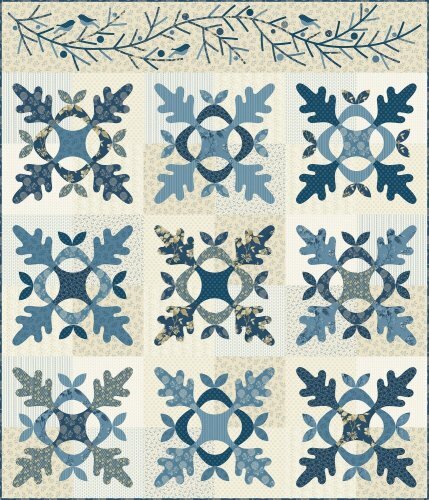 Thousand Oaks by Edyta Sitar: we have kits available for this beautiful blue and tan quilt! The 2nd Thursday of each month is UFO Day. Space is limited to 5, so call the shop or go online to reserve your spot. Then bring a project and spend the day. call the shop or click here for details.